Company cars will remain one of the most sought after benefits by employees despite rising levels of benefit-in-kind taxation – but employers and drivers must increasingly focus on value rather than cost. In a keynote address to the Fleet Industry Advisory Group’s (FIAG) Winter Workshop, tax expert David Rawlings highlighted how employee demand for company cars had proved remarkably resilient despite increases in benefit-in-kind taxation over many years. Addressing the Workshop, entitled ‘Will Tax Kill the Company Car – What’s in Store for 2016’, Mr Rawlings reflected on recent history to look to the future. Yet, while there had been a decline in company car popularity since then, latest HM Revenue and Customs’ data shows that the number of recipients has plateaued in recent years at 940,000 yielding £1.29 billion in benefit-in-kind tax and a further £530 million in employer Class 1A National Insurance in 2013/14. Mr Rawlings said that despite the switch to a carbon dioxide (CO2)-based company car benefit-in-kind tax regime and regular increases in tax thresholds, the value of company cars remain undiminished. Ford example, he cited that prior to the new regime the amount of tax due for a high mileage, higher rate taxpayer per £1,000 of list price on a 2002 Ford Mondeo was £60, which was a similar amount paid by an employee at the wheel of a low emission derivative in 2016. The government is currently reviewing company car benefit-in-kind tax from 2020/21 and an announcement is expected by Chancellor of the Exchequer George Osborne in the Budget on March 16. Mr Rawlings predicted that over the coming years taxes would have to increase with revenue raised used to support the development of alternative fuel technology while the government also looked to tackle air quality issues. Workshop delegates discussed the future of the company car in a number of fundamental areas: creating policies, managing costs and potential alternatives to car journeys. 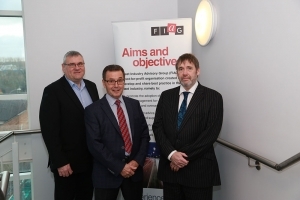 Key points raised were then highlighted by round table ‘champions’ Marcus Bray, a FIAG founder and head of sales at Fleet Service Great Britain, Mr Bellman and Kevin Basnett, managing partner at Wiltshire-based Goughs Solicitors. During the discussions delegates agreed that employers continued to offer company cars because they remained a key employee recruitment and retention tool. However, it was emphasised that employees appreciated choice flexibility particularly if a perk driver. FIAG chairman Geoffrey Bray flanked by Graham Bellman, FIAG founder and group fleet director, Travis Perkins (left), and David Rawlings, director, BCF Wessex (right). A competitive employee market meant benchmarking of company car policies was “absolutely critical” in recruiting and retaining staff, it was suggested. Mr Bray said: “Having gathered information employers must then decide whether they want to be above the market, mid-market or below the market. 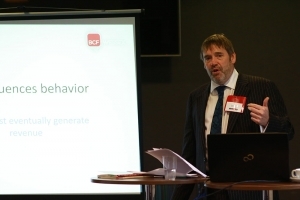 However, it was acknowledged that it could be difficult to collect benchmarking information from other companies within the same sectors of business so ‘casual discussions’ with fleet decision-makers at networking events could be crucial. Ascertaining the true value of a company car is virtually impossible because there is no correlation in the cost of a vehicle to an employer and that of an employee. Although whole life cost figures are widely acknowledged as best practice in terms of being the starting point for compiling company car choice lists, it was suggested they were only part of the decision-making process. Mr Basnett added: “It is important to take note of employees’ views in deciding which vehicles to put on the fleet, particularly if a job-need car. Vehicles must be fit for purpose and drivers have practical experience of what they require to do their job. It was also suggested that it was vital to analyse whole life cost figures on vehicle defleet and not just when deciding which company cars to introduce to a fleet. Delegates also suggested that it was important to regularly review company car choice lists with some fleet decision-makers undertaking quarterly checks to ensure policies reflected the very latest manufacturer model changes as well as legislation amendments. The company car remains king, but fleet managers are important influencers in the adoption by companies of alternatives such as telephone and video conferencing, car clubs and car sharing, it was claimed. Corporate social responsibility is a major focus for many employers with emission reduction and occupational road risk management to the fore. However, it was suggested that in some organisations a two-tier policy may have emerged where tight controls were implemented in respect of company car policies – vehicle age limits, CO2 caps and other measures including driver profiling and assessment – but similar controls in respect of managing employees who drove their own cars on business, the so-called ‘grey fleet’, were missing. However, despite the emergence of alternatives and the growing importance of communication, as witnessed by many employees being ‘wedded’ to their smartphones, it was agreed that the company car will remain. However, Mr Bray said it was important for fleet decision-makers to keep an open mind as to the viability of car clubs, car share and other alternatives. The Fleet Industry Advisory Group (FIAG) is a not-for-profit organisation created to develop and share best practice in the fleet industry. Through the considerable knowledge of its founding members, FIAG will provide fleet advice, consultancy, mentoring and support. FIAG will also assist with benchmarking and analysis of industry developments through the publication of white papers and the organisation of workshops. FIAG is also dedicated to supporting Hope for Tomorrow, a national charity which raises funds to support the introduction of mobile chemotherapy units nationwide.